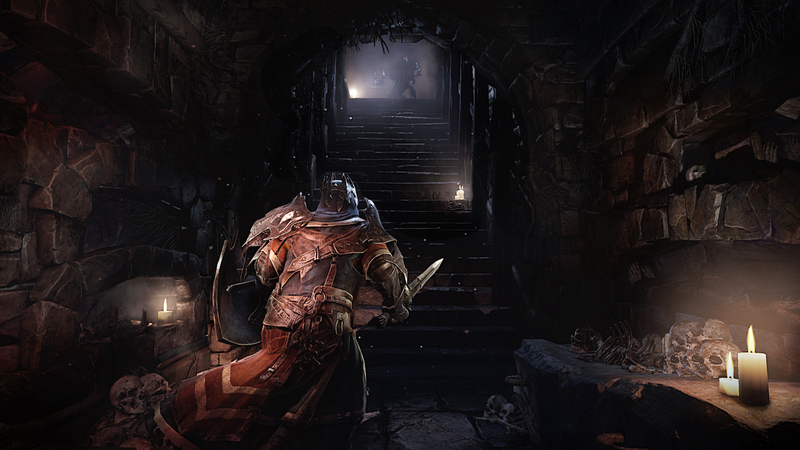 Lords of the Fallen mixes the gameplay of Dark Souls with the aesthetic of Warhammer. 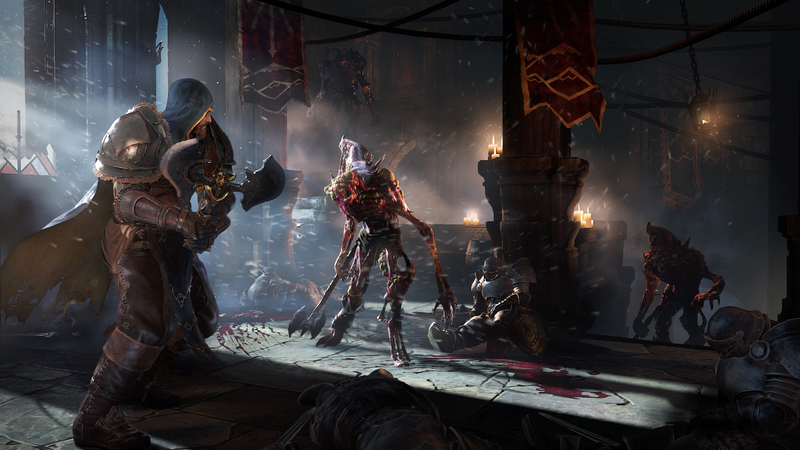 It doesn't take long to see that CI Games and Deck13 have their sights set for a very specific game audience with their upcoming action RPG Lords of the Fallen. 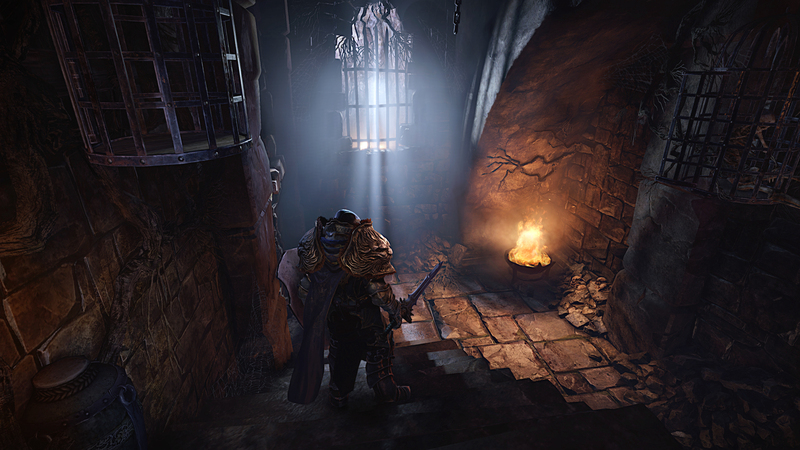 It's all but Dark Souls steeped in a heavy dose of spikes and overly large pauldrons a la the style of the Warhammer setting, and that's not necessarily a bad thing. When we last got hands-on with the game at E3, we weren't terribly impressed with it, but I got the opportunity to play for myself the first time over the weekend at PAX. 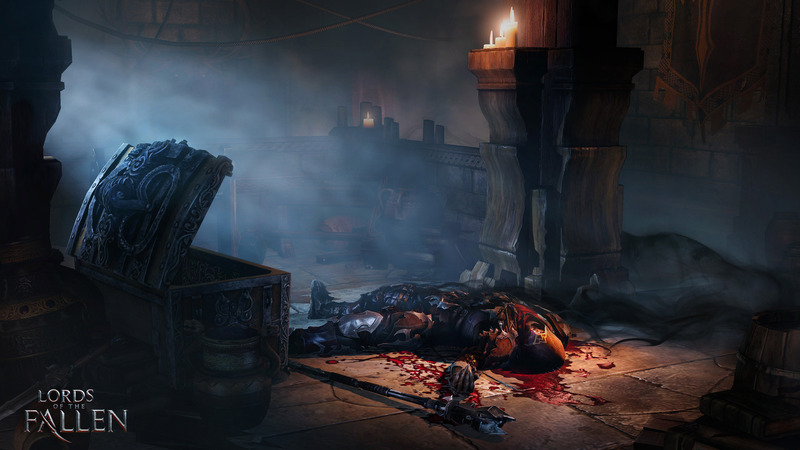 A grim dark aesthetic wouldn't do without a sufficiently grim dark story to go with it. 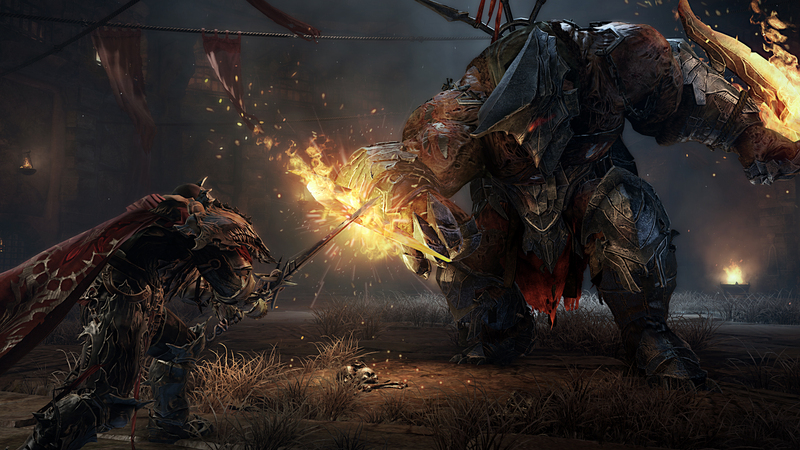 For Lords of the Fallen, 8,000 years ago, humanity fought and defeated their god. In the long intervening years, society has moved on and advanced, with their previous conflicts drifting into legend and myth. Then without warning, the god's monstrous armies reappear and start laying waste to the lands, and in desperation the convicts are let loose. In this world, a persons sins or crimes are tattooed on their face, and put it this way, Harkyn the player character, doesn't have a lot of face left. It's kind of like the Dirty Dozen, except with one dude and it's a fantasy world instead of World War II Germany. The demo I played focused on the combat gameplay, so I didn't get to see any of the story, which sounds at least serviceable enough to move the player along, but if the developers are able to inject their setting with enough interesting details there's potential for more than that. The game isn't shabby looking either. 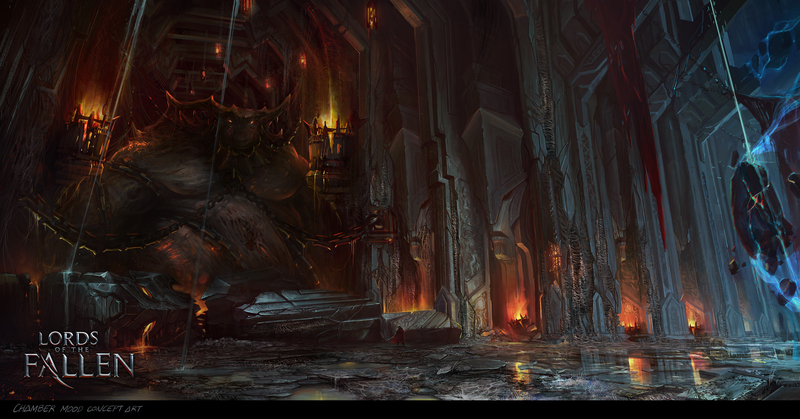 The dark setting certainly had its share of grit and gray, there's some rich color infused with it. Lots of deep red capes and other colorful details, which helps to keep it from feeling too drab. The design is what really sells it though. Everything, especially armor and weapons, just oozes with ornate style. It's hard not to see the influence of Warhammer throughout, the developers even joked that there was "no such thing as shoulder pads too big". Players will have the option to start the game with Harkyn as a cleric, rogue or warrior, but this decision really only locks you into a spell tree. 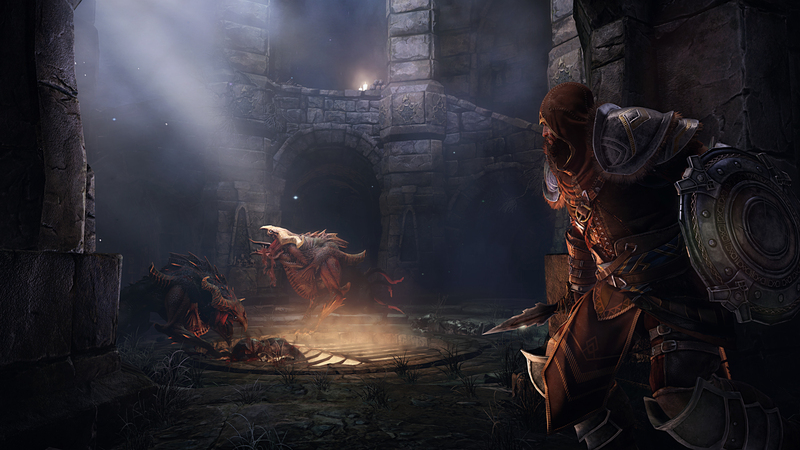 The rogue for instance has spells based around creating decoys or dealing extra damage, but you're otherwise allowed to mix and match gear and develop your character however you see fit, as long as you invest the ability points for certain requirements. There are 11 different weapon types, and they each have their own special quirks besides just their attack pattern. Paired daggers can unleash a combo when attacks are properly timed and maces can be charged up to hit with even greater power. There's even a magic gauntlet weapon that you can craft special ammunition for, letting you do things like force an enemy out of the fight for a time while you deal with the others. According to the developers, the gauntlet serves as a way to help you past sections you're finding particularly challenging. The real star of the combat is the gameplay itself though. 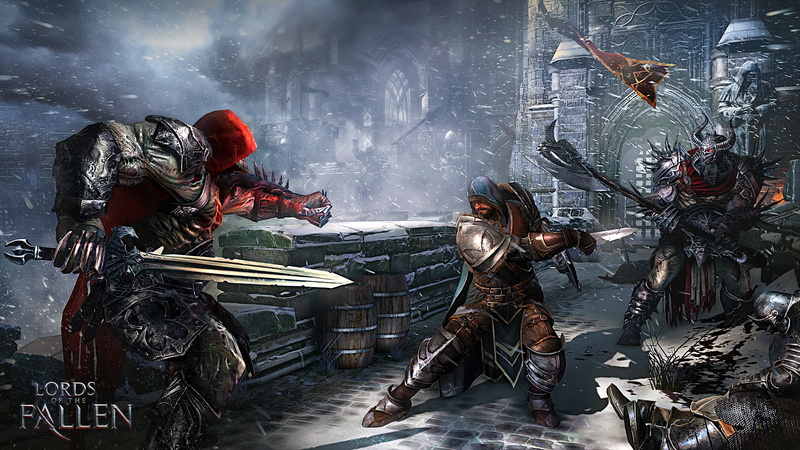 It has that weighty action RPG feel to it, since even in the lightest gear and weapons Harkyn isn't quite that fast. 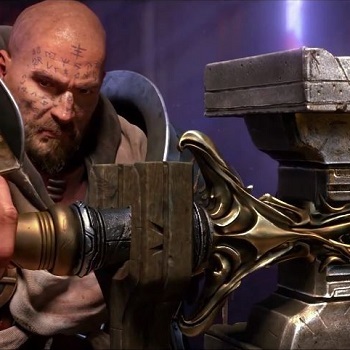 The movement is supposedly all motion captured as well, every swing of a warhammer or sword was done realistically in studio, which may have contributed to the more grounded feeling despite the outlandish look of the weapons and armor. Proper timing of your dodges, blocks, and strikes are the only way to do well in the game. All too often I would get greedy and try to get the last few few points of damage in only to get punished for it. The section I played had a few mooks with their own tricks to learn, one that needed to smash and collect a nearby it to permanently kill it and another of a more magic sort that exploded upon death. It culminated in a mini-boss fight of sort, with some big dual flaming sword wielding dude. Apparently, picking rogue wasn't the best way to fight him, though I did adapt to the attack patterns eventually. Similar to Dark Souls when you die you're sent back to the nearest checkpoint and drop some stuff where you perished. 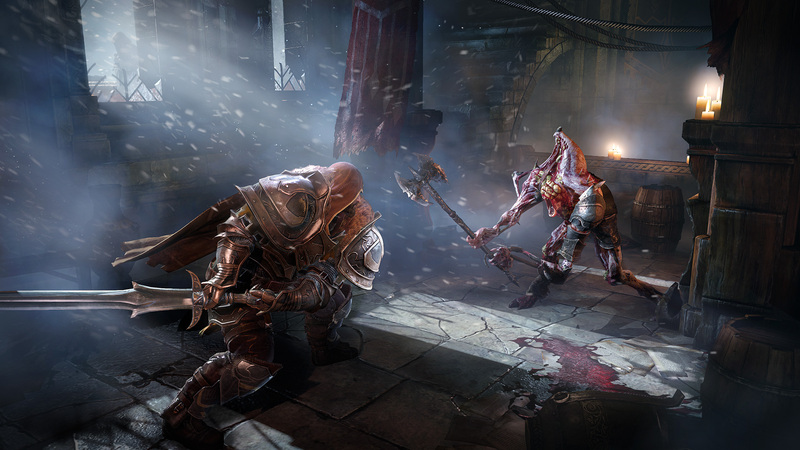 Difficulty is certainly at the forefront for Lords of the Fallen. 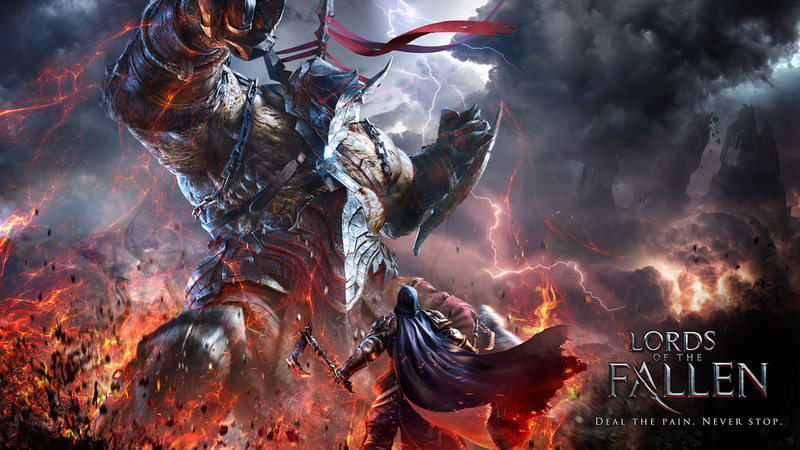 The game only has the one difficulty mode, though there is a new game plus option that lets you retain your character and progress down another class spell tree. When questioned, the developers stated that they wanted to go for something more in the middle and accessible. It's still a challenging game, but a greater story focus is supposed to help the wider spectrum of players and gameplay elements like more frequent check points and the powerful gauntlet take some of the edge off. I can certainly see some merit in that, Dark Souls could often be arcane to a fault giving you little to go on other than trial and error, but that was also one of its strengths as well in a way. 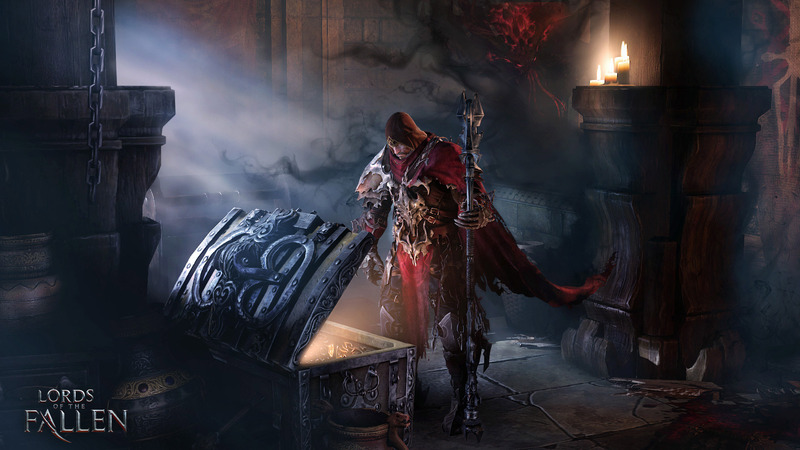 While I haven't seen all of Lords of the Fallen, I'd hope the developers skew more towards the audience that's going to enjoy this kind of experience rather than attempting to make it have more mainstream appeal. 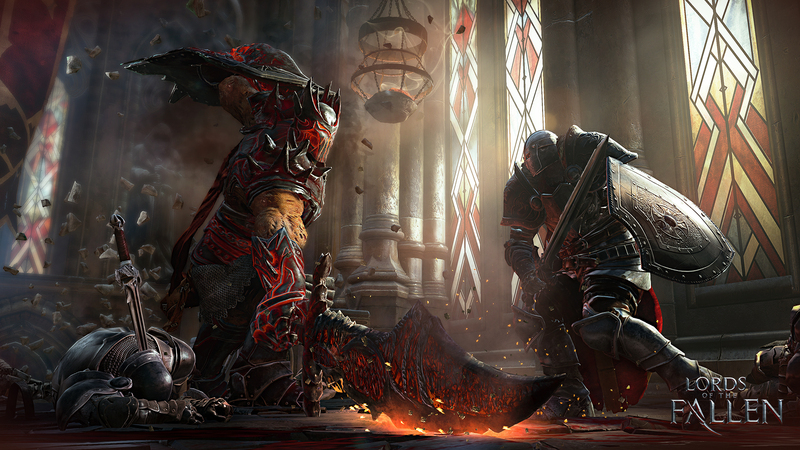 Lords of the Fallen is coming to the PS4, Xbox One and PC on Oct 28, and there is bonus weapons and content available for those who pre-order.